From 27 February to 4 March 2017, more than 5,000 people gathered in San Diego for the largest assistive technology conference in the world, the CSUN Conference. The 32nd annual event, organised by the Center on Disabilities at California State University, Northridge (CSUN), hosted people from around the globe and explored new technology designed to assist people with disabilities, with more than 400 sessions and additional demonstrations from more than 120 exhibitors. To give you an idea, watch this one-minute video about CSUN 2017. This year’s CSUN conference will take place in San Diego from 19 to 23 March, and will have a very active presence from AccessibilityOz. We’ll have a booth, and our CEO, Gian Wild, will be running no less than three information sessions, while our Business Development Manager, Kisiah Powell-Timmons, will also be presenting. Come visit us at the AccessibilityOz booth, collect a koala (a fluffy one and a chocolate one, while they last!) and see exactly what we do and how we do it. You’ll find us at Booth 714 in the Grand Hall, providing demonstrations of our major products and services, including OzART, OzPlayer and OzWiki (and get yourself a mini toy koala while you’re there). 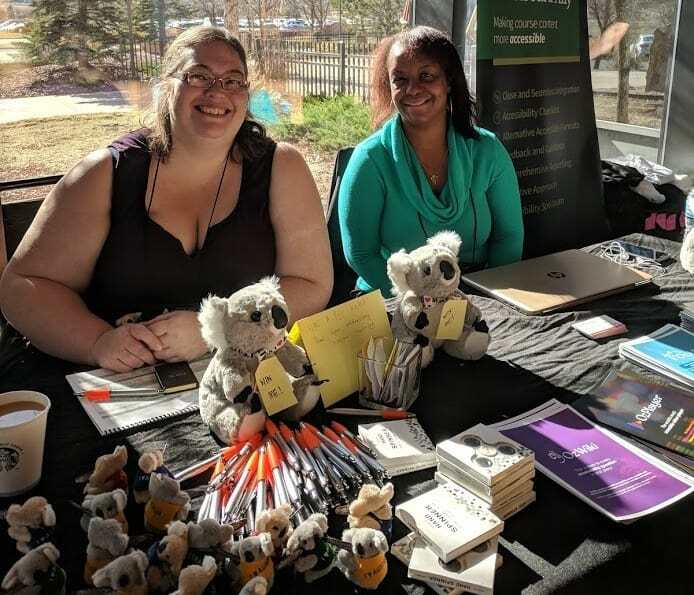 If you are attending CSUN, we hope you’ll join us at these sessions – all attendees receive three months’ free access to OzWiki and have the chance to win a large toy koala. The sessions are very likely to be well attended, so do use the “Interested?” link on each session page to let organisers know you intend coming. It won’t guarantee you a place but will help to ensure there are enough seats to go around. Are video players accessible? YouTube released a new version of their embedded video player but is it actually accessible? Find out more about The Accessibility of Video Players presentation. A quantitative study to analyze the level of BBC Mobile Accessibility and WCAG 2.0 compliant apps available on Google’s Play Store. Find out more about The Last Frontier: Accessibility Testing of Mobile Apps presentation. Covering the accessibility issues of each of the four main social media sites (Facebook, YouTube, Twitter, LinkedIn). Find out more about the Social Media and Accessibility presentation. Maps are essential to life, and just because they are often visual does not mean they can’t also be accessible. Find out more about the Interactive Maps – How Do You Make Them Accessible? presentation. There will, of course, be a lot of sessions and booths to explore at CSUN, and we want to give everyone a taste of what’s happening there – even if they can’t get to the conference itself – so we’re going to be posting regular updates here, as well as using Twitter to point out as many of the other interesting exhibitors, speakers and sessions as we possibly can. Follow along with @AccessibilityOz. Bigger than ever, CSUN 2018 is bound to be a very exciting conference – experience it with AccessibilityOz.